Hey Guys!!! today I am writing the 5th part of Inside The Game series. For those, who are not familiar with Inside The Game series, this series will provide the articles and tutorials related to mechanisms and architectures of the game. Also, in this series, you will learn to think like a game developer. Now, if you have not read the last part of this series, please click here to read it. I am summarizing the last part here for those who have not read. In the last part, we discussed different types of the games and very little introduction about the architectures behind those games. Now, this part is very interesting part of the series, and I must say that this is very important part of the series. Many readers are asking me that when would the coding and implementation start or something like that. Then, I would like to answer the question here about it. Well, answer is simple, we will start programming soon. We are going with the flow and concepts are much important when it comes to coding. Tell em, what is a tile…!!! Tile…. Tile is a small unit. Word tile comes from the floor. We make a floor on ground in homes, offices etc. The whole floor is made of small squares called tiles. There is nothing to worry about, tile is same thing in the games, and you will know it shortly. Well, you can also call it cell as in Cell Based Games. Well, I will prefer the tile word here. Now, you have known about the tile, so let’s move to tile based architecture. Oh no…. its Tile Based Game Architecture buddy…!!! Games on tiles….. ??? Really…. ??? Yeah!!! I am going to explore that now for ya. As we have already discussed about game engines and graphics engines already, so I would like to remind you that game engine basically manages, handles and controls all the game information and graphics engine just renders and displays that game information on the device screen. So, what I mean from architecture or specifically Tile Based Game Architecture is the game engine behind tile based games. Because, you can’t display the data until you haven’t stored it. So, I am not going to discuss about the 3D graphics, or 2D graphics, or anything related to graphics. Rather, I will discuss the architecture and concepts behind the tile bases games. Well, there are thousands of tile based games. Well, the game developer company will not tell you that our game is tile based game, because we are talking about the code here, not the game and gameplay. So, I am going to give you the examples of the tile based games. 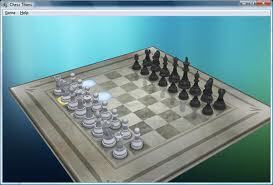 Well, the most common example of these games is a chess game. Normally, the board games like monopoly, chess, ludo, checkers etc are developed through tile based games. (Note: I haven’t took the name of cards game here.) That’s it? No!!! That’s not all. So, the strategy games like Commandos, Age of Empires, Stronghold Crusador, The Legend of Zelda etc. also based on tile architecture. Really? Yeah…!!! That’s awesome then…. 🙂 But hey, I would like to tell you something here. Normally, there are two types of strategy games here. Well! there are no specific names of those types, but let’s give temporary names to read easily. Let’s call the first one as continuous and other one as discrete. What actually happens in discrete is that a tile is a single step of the game. It means, when we move the character one step, then it will directly come to the next tile. Examples include The Legend of Zelda, Chess, etc. However, in continuous the case is very changed. If we move the character one step, then its not necessary that it will move to next tile. This depends on number of steps in a single tile. For example, there are 5 steps in a single tile, then it means after passing five steps, the tile will be changed. Well, both are same. The difference is only of details. In the discrete, there is not any detail in a tile, while in continuous there is detailed tile map in a tile itself. Which one to choose? Discrete or Continuous? Well! the answer depends on the game. But I will tell here some advantages and disadvantages of both mechanisms, then you can differentiate both easily. Normally, the discrete games are much easier to implement, but problem is the smoothness of the game. Like if you are changing tile on each step, then the more the tile size, the less the accurate and smooth game will be. So, you will say, “Just decrease the size of tile, GamyGuru…. :)”. Well, I will tell you one thing. A game developer’s most difficult and important task is optimization. So, the more you decrease the size of tile, the more the CPU will process and in case of mobiles or tablets, battery will die quickly. So, a true game developer’s job is to create a game with low CPU processing with high performance graphics…. So, if you want to decrease the size of cell and add smoothness in the game, then I will recommend you to apply the continuous approach. We can say that continuous approach is same like small tiles. Well, there is a difference. The difference is that in small sized tiles, number of tiles increases and in the result CPU processing also increases. However, in the continuous method, we are increasing number of tiles, so CPU performance will not be affected as plus point. Only, the tile we are interested in will be detailed for more processing, and processing one single tile is less CPU expensive than iterating through all the tiles in the game. So, I guess you have understood it. 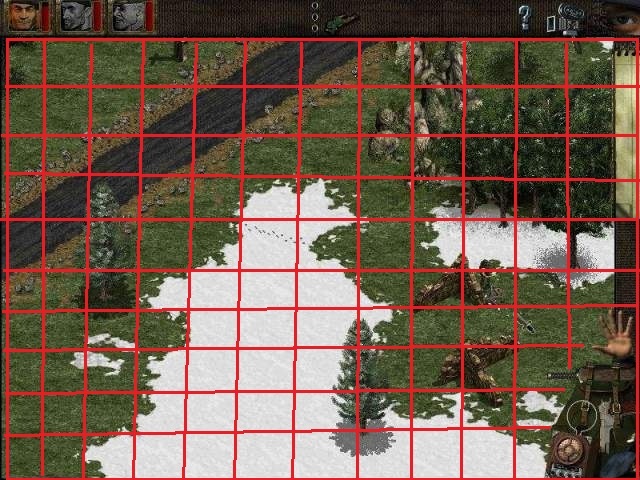 Is tile based architecture for strategy games ONLY…. ? Tile based architecture only for strategy games? I didn’t say it… Well, until now, we have seen two types of games; strategy and board games, which can be implemented by tile based game architecture. However, there are also other games, which can be implemented in same way. We are now going to discuss the next game type, platform games. We already discussed about the platform games in last article. So games like Mario, Sonic Hedgehog etc. follows this architecture also. Architecture is same tile based, but the concept for understanding changes a bit. For example, in board and strategy games, you saw that game was a floor covered with tiles containing small information about the game. However, in the platform games, the floor story just disappears. Because, it is a vertical scrolling or horizontal scrolling game, not some top-view game. 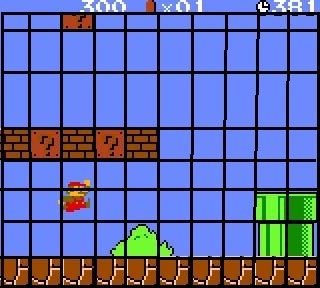 Following figure shows a snapshot from Mario game and its tiles. So, now I guess it would be clear in both images that how platform games differ than strategy games in terms of tile based architecture. Also, please note that each tile is of the same size. You can measure it from the bottom line created with brick tile. All bricks are of same size and lines are drawn accordingly. You will be glad to know that in the next article, we will implement tile based architecture in C++ to understand its working. So, this is another advantage of the tile based architecture that you can implement platform games also. Until now, I have understood that the 2-Dimensional (2D) games can be easily implemented with tile based architecture. What about 3D games then…??? Well, you will be happy to know that tile based architecture is not only used in 2D games, but it is also used in 3D games. You might wonder how.. Well, we are not talking about the graphics here, which are 3D, rather we are talking about game engine and storing game information here. So, let’s see an example of 3D game type using tile based architecture. Oh really….!!! Did I hear it right? Did it sound like FPS or TPS? Yeah!!! 🙂 You heard it right…. The next type is First Person or Third Person Shooter games. Well! these are the most famous and played games on personal computers, consoles etc. So, every other game developer wants to develop FPS or TPS games. So, let’s take example of Hitman game, because examples make more clear image of concept. So, the concept behind FPS/TPS games is that the whole map is 2D, as shown in the figure (left), and this map is tile bases architecture containing all the game information. 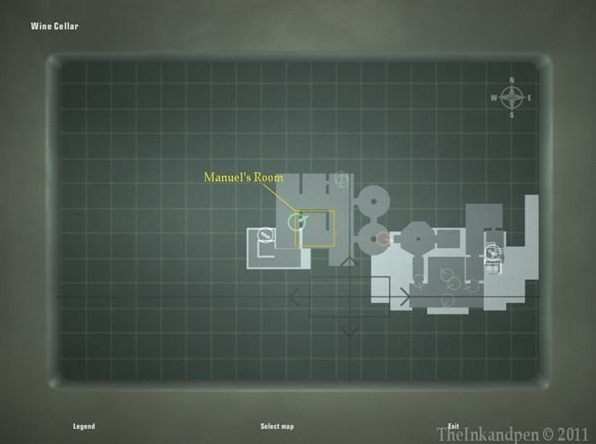 However, the map is just displayed in 3D form like First Person or Third Person camera. That’s why these games are called 3Dimensional. Also, please suggest that in which language do you want to implement Tile Based architecture for a simple game.